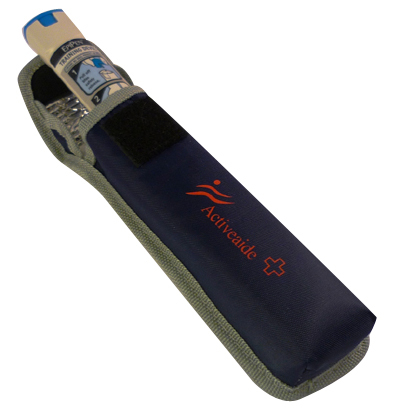 comfortably holds one Epipen®, Anapen® or Jext® auto-injector. 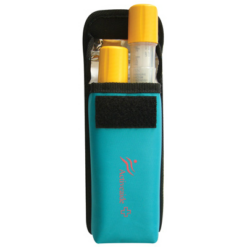 This carrier for holding an Epipen® auto-injector can hold one EpiPen®, Anapen® or Jext® auto-injector. It’s constructed with a durable but lightweight fabric. It has a padded exterior with an internal silver lining for insulating your pen. 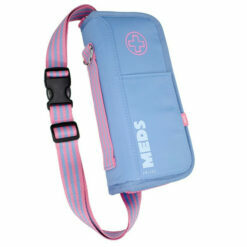 The Velcro fastening allows for easy and fast access to your medications when you need them. 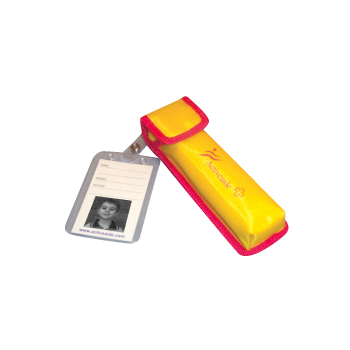 This carrier for EpiPen® auto-injector also features a keyring for attaching it onto bags, backpacks or hanging it up in an accessible location. You can write your name and phone number on the ID tag on the inside of the pouch in case of emergency. There are also elasticated belt straps on the back of the carrier so it can be worn horizontally around the waist or hang vertically from the belt. 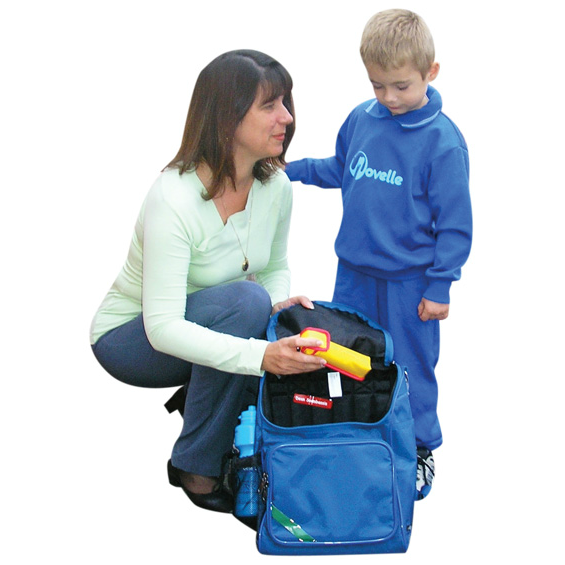 The carrier comes in two colours, yellow with a red lining and navy blue with a grey lining. 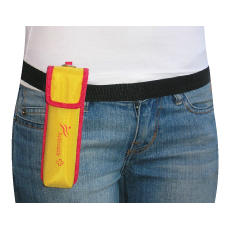 The yellow case is great for increasing the visibility of your EpiPen® auto-injector in case of emergency. The blue case doesn’t stand out as much, but it is great for someone who doesn’t like everyone to know that they are carrying medications. Padded exterior and silver inner lining for insulation. Velcro closure allowing for easy, quick opening. Elasticised belt loops on the back of the holder allow you to wear it horizontally or vertically. 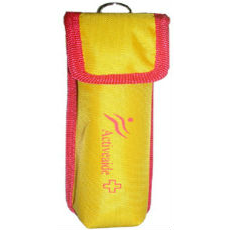 Can be used with our waist belt for adrenaline pen cases which can be purchased separately. Waist Belt not included for demonstration purposes only. Firstly, thanks to Allergy Lifestyle for helping me to choose a new case as we changed to Anapen injectors last month. 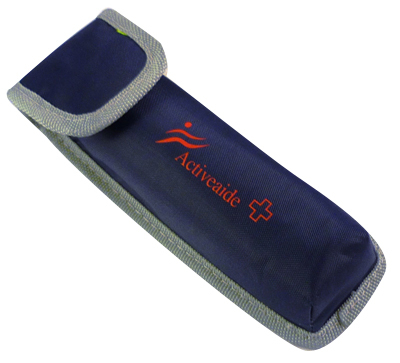 The Activeaide Single Pouch is sturdy, insulated and neat. it comes in a couple of different colours….navy blue for my boy this time ! And it also manages to hold his two Anapens comfortably. Great purchase.